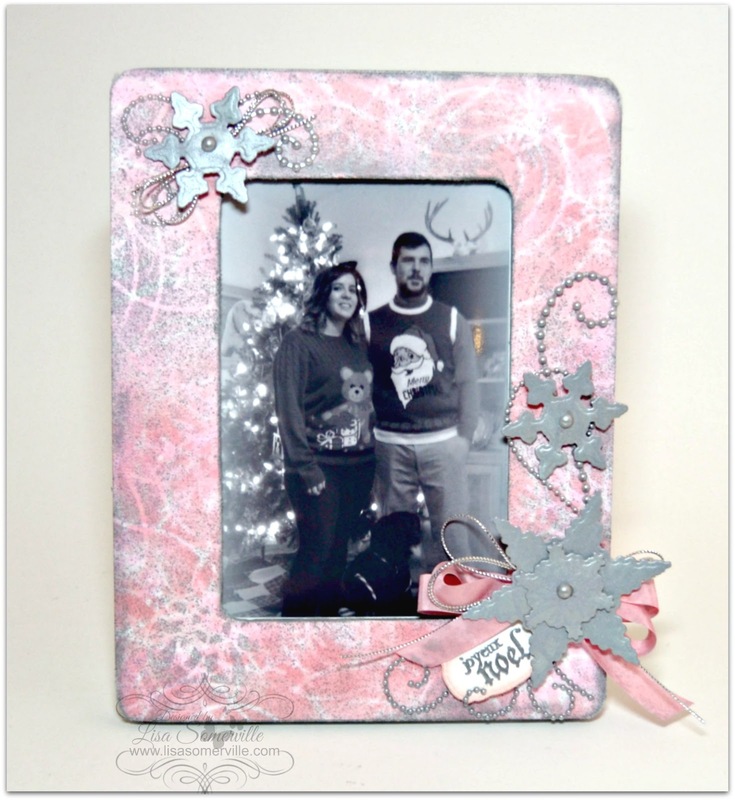 Today I'm sharing an altered frame for Christmas using the eBrush. This month, the eBrush Design Team is sponsored by Atlantic Paper and I've used some of their fabulous Evolon Paper to alter my frame. Evolon Paper is a Polyester and Nylon material which is light in weight. You can paint, dye, print and heat distress this fabulous paper, it will not fray when cut with scissors and it excels as a base for stitching, by hand or machine and works well layered with sheer elements. This tear resistant paper is perfect for Mixed Media Projects and works wonderfully with the eBrush. 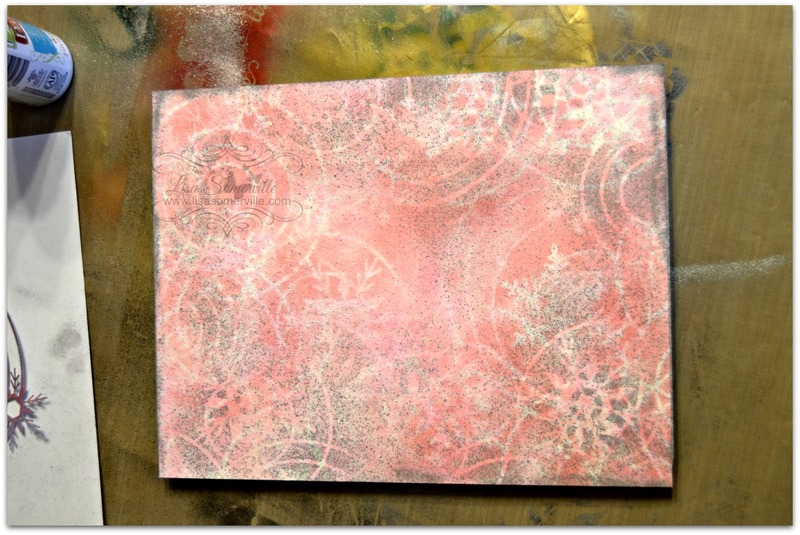 When using this paper, be sure to work on a covered surface, as you mediums may bleed through. I'm sharing a few step outs here on my blog - for full details and step outs, please visit the Craftwell Blog. 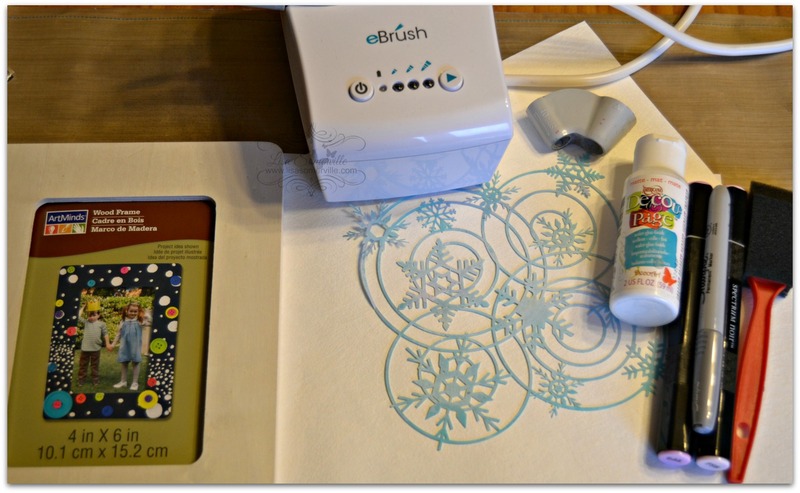 Using the eBrush with the Spectrum Noir Adapter and Spectrum Noir PP2 Marker, spray over Evolon Paper using the Winter Wonderland Stencil. Move stencil and repeat until paper is covered. Repeat using the Spectrum Noir PS8 Marker. Using the eBrush, Sharpie Adapter and Silver Metallic Marker add Silver as desired. I wanted the "splotches" of silver on my Evolon Paper as well as some fine misted areas. I wanted the "splotches" of silver on my Evolon Paper as well as some fine misted areas, continue until paper is covered to your liking. With the Metallic Silver Marker still in the eBrush, spray the sides as shown. 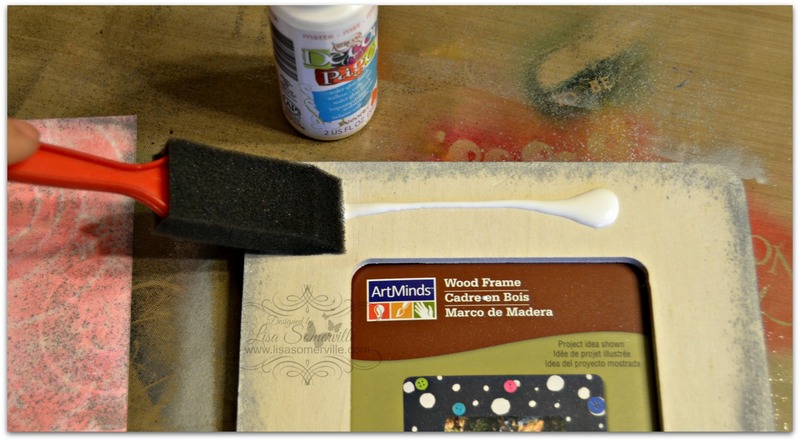 Using a Foam Brush, apply Decou-Page to frame. Adhere Evolon Paper and let dry. 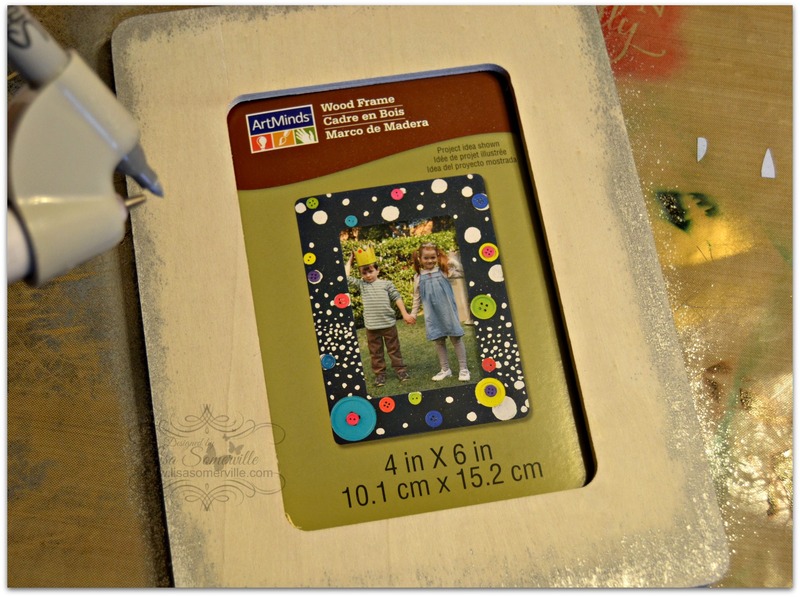 Once dry, use X-acto Knife to remove center from frame. 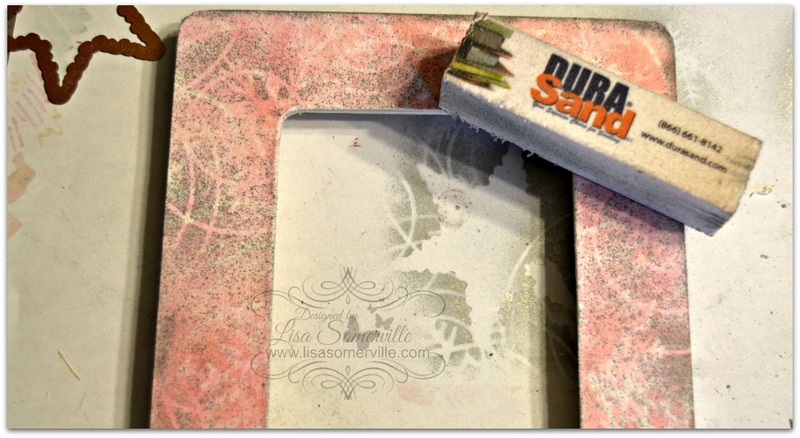 Using a DuraSand Block, sand all edges. 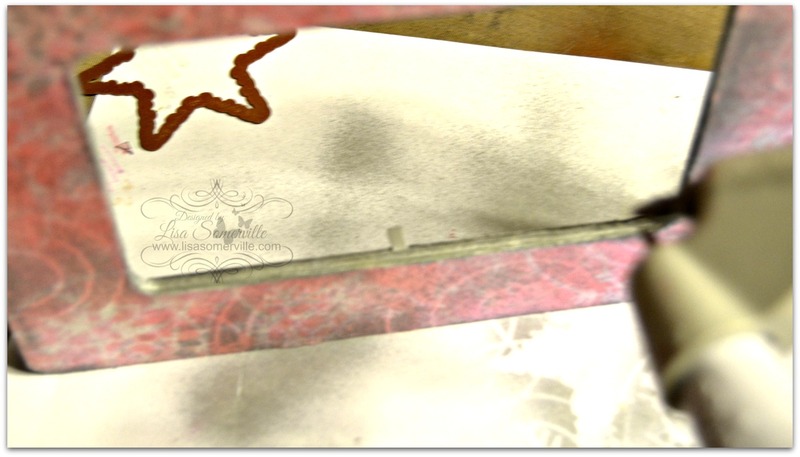 With the Metallic Silver Marker still in the eBrush, spray the inside as shown, and any edges you may have sanded. 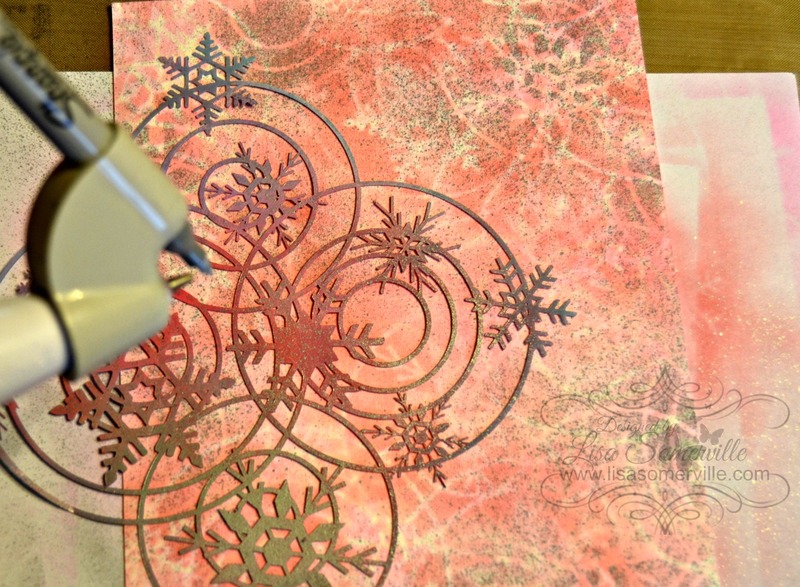 To embellish my frame, I used the eBrush, Metallic Silver Marker and stencil and sprayed over the die cut snowflakes to add a pattern to the Metallic Silver card stock. I also added some stenciling to the Pink Seam Binding (not shown). No Silver Gems....No Problem! 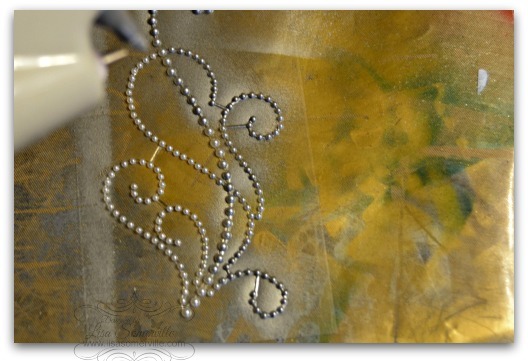 Simply spray them using the eBrush and a Metallic Silver Marker and allow to dry. 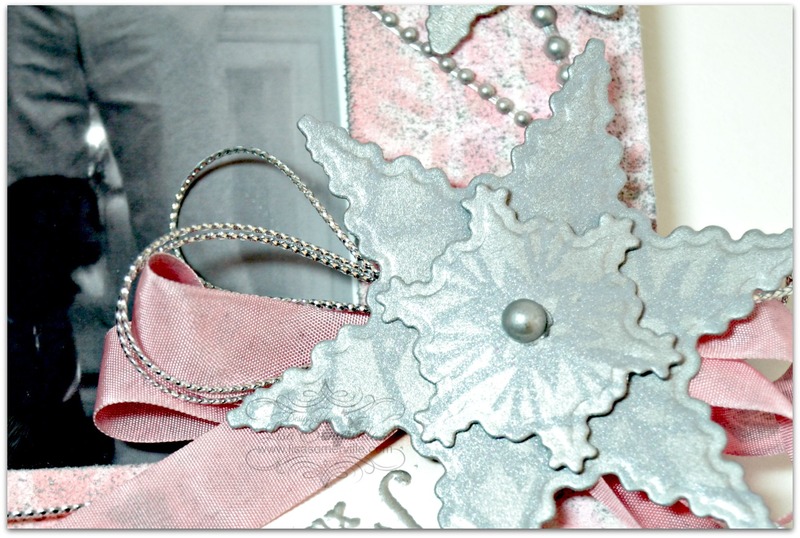 Here's a close of the Snowflake, finish embellishing as desired. 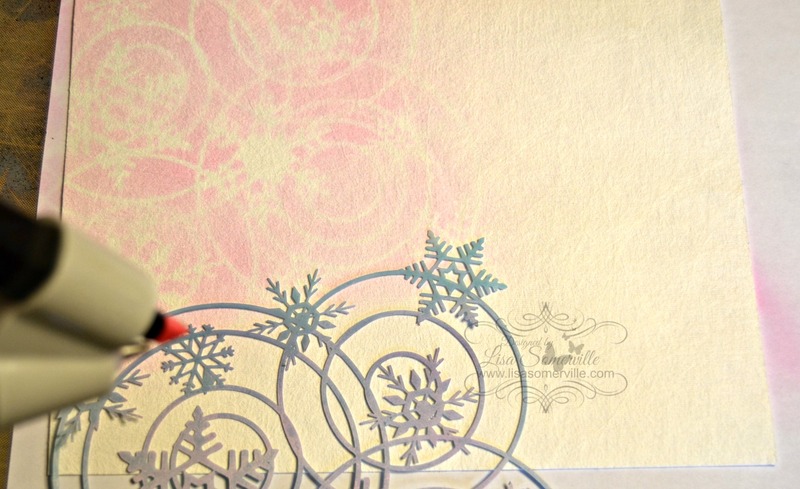 Wow Lisa this is stunning stamping and design. The pink and grey just goes so well with the black and white photo and those snowflakes has a lovely kind of steampunk feel to them. Lisa, your altered frame is gorgeous. 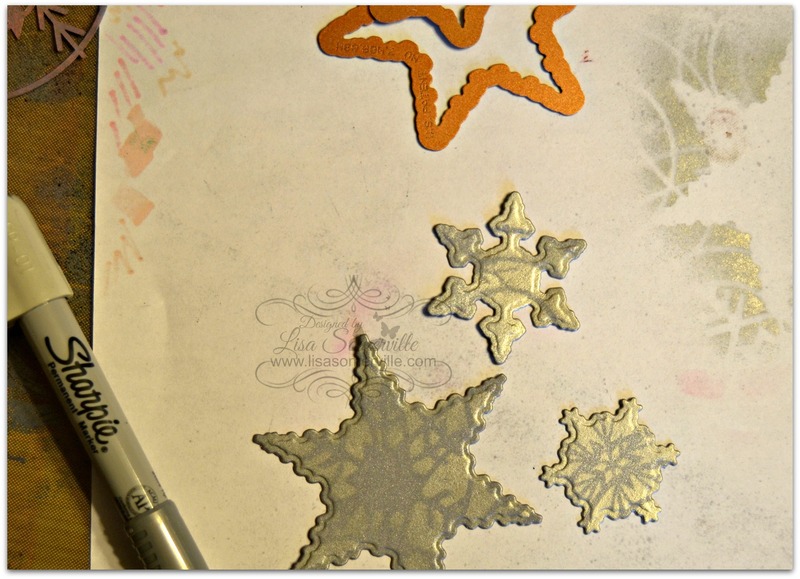 Love the paper and stenciling with the embellishments. Great photo!